John McAfee made headlines for his possible connection to his neighbor's murder. If the name “McAfee” rings a bell, it should. There’s a chance that McAfee anti-virus software is on your home computer right now. John McAfee, the man who created the software in the 1980s, became a household name for his anti-virus software and the millions of dollars he made when he sold his security software firm McAfee Associates. But after he moved to Belize in 2009, McAfee made headlines again for his alleged connection to the murder of his neighbor Gregory Faull. In a recent interview with ABC News’ “20/20,” McAfee denied having any involvement in Faull’s death and showed off his latest cybersecurity venture. Here is a timeline of the major events of John McAfee’s life since the software founder first introduced the world to McAfee Associates. 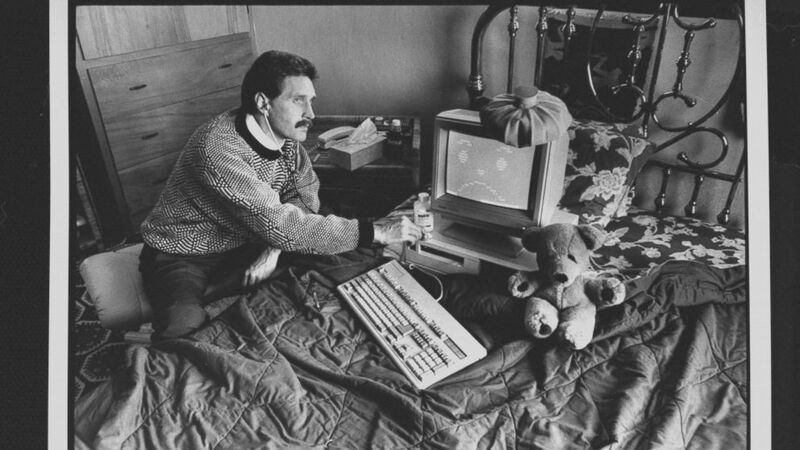 (John Storey/The LIFE Images Collection/Getty Images) Computer analyst John McAfee holding stethoscope to IBM type computer sitting on bed w. ice bag on top, illustrating computer virus which McAfee is able to eradicate; at home. John McAfee pioneers anti-virus software bearing his name that is still used by millions of computers today. McAfee anti-virus software was created in less than two days, McAfee said. “Four million people were using it within a month,” he said. He made his fortune when he sold his security software firm. His reported worth was $100 million, though he later claimed it was more. Over the years, he spent millions on properties, art and cars. After the financial crisis in 2008, McAfee let it be known in 2009 that he had lost most of his money. He sold a Rodeo, New Mexico, property, which was the last of his major real estate holdings, at an auction in August 2009. Recently, McAfee told “20/20” that he was just “using” the media when he said he lost his fortune. Later in 2009, McAfee took his remaining money and moved to Belize, where he had purchased a property on an island called Ambergris Caye. He purchased a second property in the interior of the country and moved deep in the jungle to a place called Orange Walk, where he had set up a lab to create plant-based antibiotics. McAfee said he was helping the locals by feeding poor families and providing them with jobs. 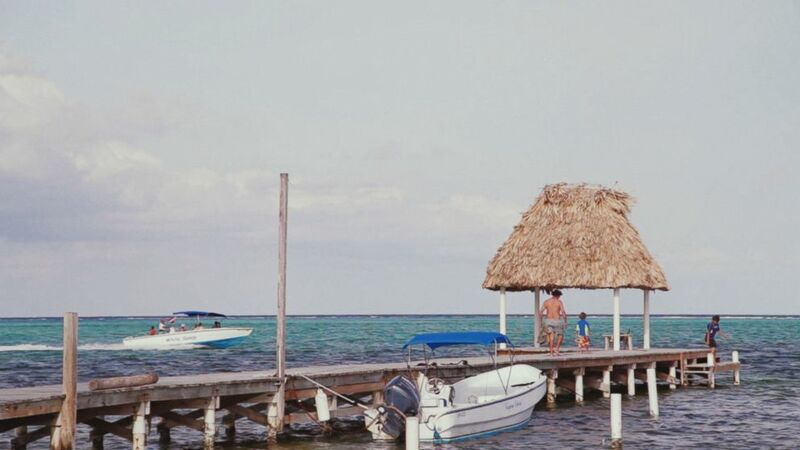 (ABC News) John McAfee's home in Belize, Ambergris Caye, is pictured here. McAfee claimed his refusal to pay bribes to the Belize government caused a raid on his lab in 2012, which Belize authorities said was brought on by suspicion that he was manufacturing methamphetamine. “I was on the verge of something ... when I refused to pay an extortion for $2 million ... a week later that gang suppression unit destroyed my lab,” said McAfee. No methamphetamine was found and McAfee abandoned the jungle and moved back to Ambergris Caye. 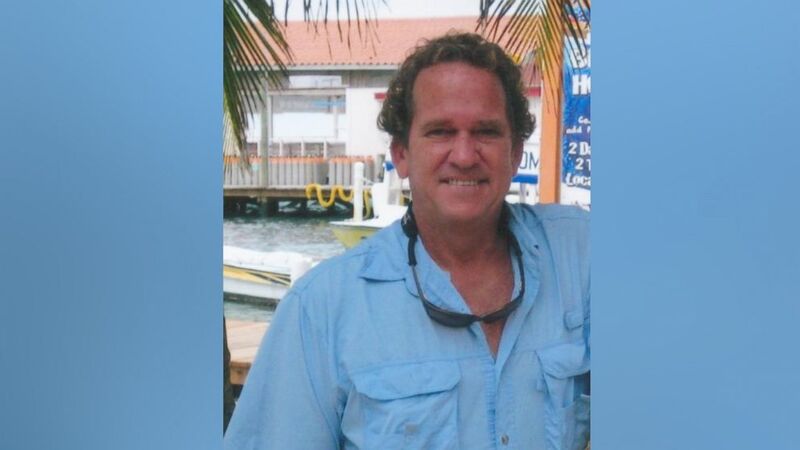 One of his neighbors was Gregory Faull, a builder from central Florida who wanted to spend his retirement in Belize. According to friends, Faull had a problem with McAfee’s pack of aggressive dogs and told friends he was going to take care of the problem. One evening in November 2012, some poisoned meat was thrown over McAfee’s fence, and all nine of his dogs were killed. The next night, police said an intruder snuck into Faull’s home and shot him with a stun gun several times. Faull was then shot in the head and died. Belize police called McAfee "a person of interest" in connection with Faull’s death and sought to question him. As news of the murder broke, McAfee disappeared into the jungle. McAfee contacted journalists while on the run. “As long as the world was paying attention, they couldn’t actually shoot me in the street,” McAfee said. McAfee then traveled to Guatemala. (Family Handout) Gregory Faull died after being tasered and shot in the head in Belize. Immigration officials in Guatamala arrested McAfee in Guatamala City for entering the country illegally on Dec. 4, 2012. In an exclusive interview with ABC News’ Matt Gutman, McAfee claimed he was innocent of the murder. He was never charged in connection with Faull’s death. Before Guatemalan authorities could put him on a plane back to Belize, McAfee collapsed and was rushed to the hospital on Dec. 12, 2012. McAfee later admitted to faking a heart attack. The delay allowed his lawyer to file an appeal, and McAfee was granted a stay of deportation to Belize. McAfee was eventually deported to Miami, Florida. While in Miami, McAfee met his current wife Janice Dyson, who was a prostitute at the time. McAfee posted a parody video online explaining how to uninstall McAfee Anti-Virus in June 2013. At the time, the company which owned the software called the video "ludicrous." McAfee spoke at the C2SV conference in Silicon Valley, announcing plans for a new company, Future Tense Central. McAfee was pulled over and arrested by Tennessee state troopers for DUI and gun possession in August 2015. He pleaded guilty to driving under the influence and has yet to get his license back. He claims he wasn’t drunk but that he was high on Xanax, which he says a doctor had just prescribed him. Nanette Burstein’s documentary “Gringo” is released in September 2016. The film includes interviews where people for the first time implicated McAfee in Faull’s murder. McAfee's beachfront caretaker, Cassian Chavarria, alleged in the film that McAfee paid someone to have Faull killed. Chavarria said the man who got the money called him late the night of the murder to pick him up. The supposed killer denied killing Faull and said Chavarria’s story was untrue. McAfee recently laughed off the documentary and accused Burstein of paying Chavarria and others who appear in the film to tell lies. He posted multiple videos online where Chavarria and others took back what they said in the documentary. Burstein denied paying for any interviews, though she did pay for some photos. She claims McAfee was the only one who paid for a story, pressuring Chavarria to recant. McAfee denies paying Chavarria and others to recant their interviews with Burstein. McAfee also denies hiring a hit man to kill Faull. An attorney for Chavarria and three others featured in the film held a press conference in Belize City shortly after the film was released, in which they all claimed they had lied in the documentary to get money from filmmakers for their interviews. Chavarria also denied at the 2016 press conference that McAfee had paid him to recant. This same year, McAfee ran to become the Libertarian Party candidate for president, finishing as the runner-up to Gary Johnson. McAfee is the CEO of MGT Capital, a company that invests in cybersecurity. He spoke to ABC News’ Matt Gutman in an interview that will air on ABC News’ “20/20” on Friday, May 12, at 10 p.m. ET.